ARGOS has always connected mobiles everywhere on the planet. CLS, which has operated the ARGOS satellite system since its creation, thus has all the ARGOS For NEXT GENERATIONS knowledge, professional skills, infrastructures and networks needed to work on ARGOS for Next Generations. CLS’s mission will be to offer a new system which will give connected objects an entirely new dimension. A universal connection, which will make the IoT available all over the world. ARGOS will be radically changing its scale of operation! The satellite-based Internet of things (IoT) will be accessible everywhere, for a sustainable planet. From location and data collection through to processing, the new-generation ARGOS system will offer information that has been integrated especially for its users’ professions. Ship-owners, biologists, scientists, environmental protection stakeholders and fishery administrators will all benefit from improvements that enhance their studies, performance and daily management. To achieve this, DATA ANALYTICS, BIG DATA and DATA MAPPING will be the watchwords for this entirely new generation ARGOS system. The future system will usher in a radical change of scale. A revolution in scale will be undertaken while respecting the values of CNES, CLS and the ARGOS system, with a view to protecting our planet, sustainably managing its marine resources and thus protecting humanity. The Paris-Air Show at Le Bourget was an opportunity for CLS to begin preparing the next step in ARGOS’s future, with our full support. The ARGOS system was one of the first satellite location and data collection systems. It contributes a great deal to our knowledge of the environment and its protection. In this context, borne by the worldwide enthusiasm during the COP21, CLS decided to name this key, future system for the environment : “ARGOS for next generations”. A fixed, very high speed fibre optic network, supported and deployed in France by the “France Très Haut Débit” plan. A very high speed mobile network based on 4G. As Internet connectivity improves, its role in economic growth and human activity is becoming essential. How then can we accept that a significant part of our own country, just like most of Africa, has no Internet access? Likewise, how can we imagine ourselves, whether representing a company or as an individual, not being connected while sailing across the oceans or flying over the sea or over practically uninhabited territories? Well that’s the case today! In France, in spite of all the private and public initiatives, more than 1.2 million homes will still lack a very high speed connection in 2022. In Africa, South America, Asia and even some European regions, it is not possible to deploy mobile networks without satellites that link the relay antennas to the rest of the network in zones where the ground infrastructures are inadequate. As for sailing or flying over the seas or vast, practically uninhabited landmasses, satellites remain the only conceivable connectivity solution. However, the space sector, with support from the public authorities, has been able to innovate in time and prepare these new types of satellite. Designed especially for Internet, they will convey data at a sustainable cost for new applications. They will be offering unprecedented throughput. In 20 years the total capacity of communication satellites has already been increased a thousand times! This more or less matches the doubling every two years, predicted by Moore’s law for transistors. Clearly the space industry is a fundamental source of innovation behind the current technological and industrial revolution. This French space team has developed new geostationary platforms, called NEO; furthermore it has generalized the use of high-powered electrical propulsion, has designed high-capacity Internet payloads and has been able to produce and deploy the corresponding ground segments. All these innovations are essential building blocks that have been developed by the French space team. Of course, apart from these innovations, one should also mention Ariane 6, which will be used to launch these new-generation satellites. So there are solutions and it is now up to be operators to grasp and deploy them. In parallel with the development of these geostationary satellites, which have accounted for practically the whole commercial SATCOM market for more than 20 years, projects for Internet satellite constellations in low or medium Earth orbit have emerged, such as O3B, Oneweb, Leosat and others which are apparently now being developed. The space offer has diversified and grown to rapidly meet the many new need. For the general public, this IoT may for instance take the form of sensors worn by individuals to monitor their health. The signals produced are transmitted by mobile telephones to servers which analyse them. For the industrial world, the IoT is a key component of tomorrow’s factories. For these applications, satellites are of course not the standard solution. But the Internet of Things also includes monitoring of the environment, tracking of aircraft and ships and monitoring logistics and supply chains from Chengdu to Cedar Rapids or Bourges: for those applications, only satellites are able to provide the worldwide coverage needed, by efficiently compensating for the limits of ground- based networks. Some first-generation space systems have already been deployed. They partially meet the needs for satellite-based IoT. Several initiatives are now emerging, particularly in North America but also in China and Australia. The French space team is already active in this field and, as I have already said, has the know- how for offering the most competitive solutions. It is necessary however to work together, if possible, to pool the know-how and resources to launch a major initiative in the field. CNES is completely committed to this strategy. The work done by CLS is the right framework for this cooperation, and ARGOS is clearly the best system around which to build a satellite-based IoT! 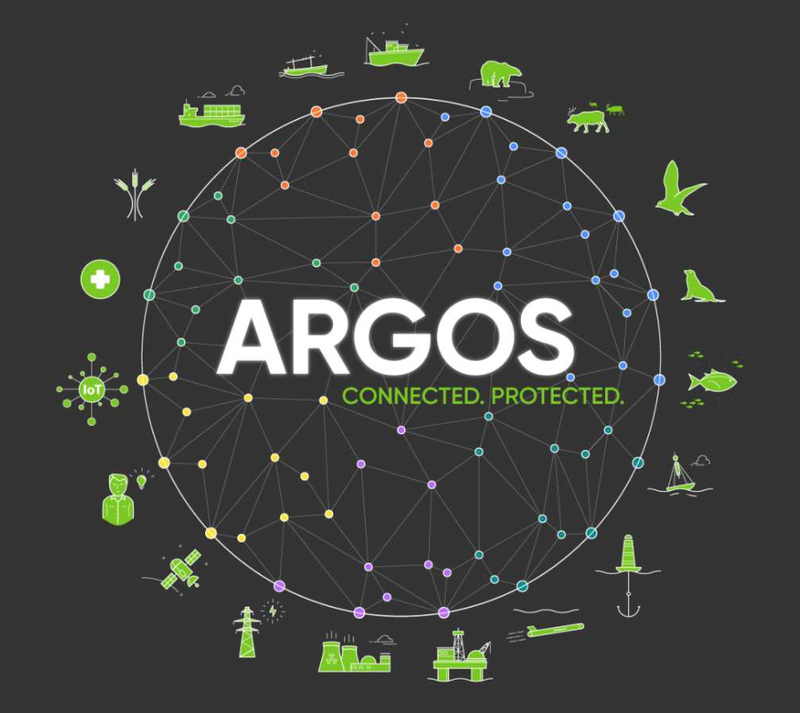 Satellite-based IoT... ARGOS has been doing this for more than 30 years, by collecting data for scientific and environmental purposes across the entire planet! CLS will have the full support of CNES and its engineers. The same engineers who invented ARGOS 30 years ago! The same engineers who have developed it right up to its fourth generation. And no player is more qualified than CLS, which has been operating and marketing the ARGOS system, to supervise the upgrading of the system for new applications and services. This will be done by adding a complement to the “historical” ARGOS system, based on three polar orbits, and to which we are and will remain fully committed. These same engineers who invented ARGOS 30 years ago! Any industrial companies that could contribute their know-how for defining the system and the satellite constellation are thus invited to contact CLS. Likewise, for all those with business projects in the IoT field who would like to share this system and invest in it. The ARGOS Goniometer is a direct receiver used to collect your data and decode GPS positions in real-time. The CLS goniometer has been designed by CLS to specifically allow users to find active ARGOS platforms in the field. Depending on the altitude and the reception conditions the goniometer can detect all transmitting platforms within a radius of 100 km or more. CNES will be carefully monitoring the progress of the project over the next few months. IoT, the Internet of Things, is now emerging in consumer markets. With ARGOS for NEXT GENERATIONS, CNES and CLS intend to make the IoT available anywhere on Earth. CNES, with its visionary innovation, created the ARGOS satellite-based location and data collection system in the 1980s and for the first time ever, collected data from animals, drifting buoys, hydrology stations, volcano-monitoring platforms and fishing vessels. The future of our fisheries depends to a large extent on our ability to preserve stocks effectively. CLS has been certified by most of the leading seaboard nations around the world and is already operating on thousands of vessels worldwide. It added miniaturization in 2010; the smallest ARGOS transmitter only weighs 2 grams. One of the main advantages of the system is that it requires very little power, which means small, autonomous transmitters can be manufactured. The history of animal migrations has also been rewritten, with more than 100,000 animals tracked thanks to ARGOS. Fishery administration has undergone a major revolution and it is now possible to track industrial ships at sea anywhere in the world, with a fully secure communications system! 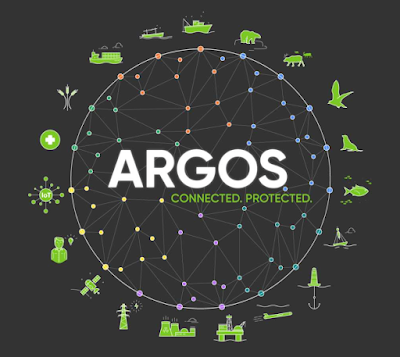 Coordinates determined with ARGOS by means of Doppler location cannot be tampered with and thus enable authorities to monitor fishing vessel activities in an entirely secure way. CLS solutions include a wide range of services based on proven and innovative space technologies. As a result of 30 years of close collaboration with governments and agencies in charge of maritime surveillance, and maritime industry operators. ARGOS has always connected mobiles everywhere the planet. CLS, which has operated the ARGOS satellite system since its creation, thus has all the knowledge, professional skills, infrastructures and networks needed to work on ARGOS for Next Generations. A universal connection, which will make the IoT available all over the world. ARGOS will be radically changing its scale of operation! Data collectors will hence become information providers. The new ARGOS system which professionals will be able to use directly, will help them make decisions on a daily, operational basis.